Our first workshop on confidence building for new graduate nurses and novice nurses was INCREDIBLE! I am so honored to be able to have spoken to over 45 people about my journey into a more confident nurse! Unfortunately the audio is the only thing that saved as a recording for the workshop, but the goods are here! You can literally listen to EVERYTHING that I was saying and get the same exact information! My hope is that through my experience you are able to avoid mistakes and heartbreak that I went through and find your OWN confidence and self love. After listening if you are interested in the Empower 90 Planners, you can find them linked below! Click THIS LINK to purchase the Empower 90 for Nursing Students! 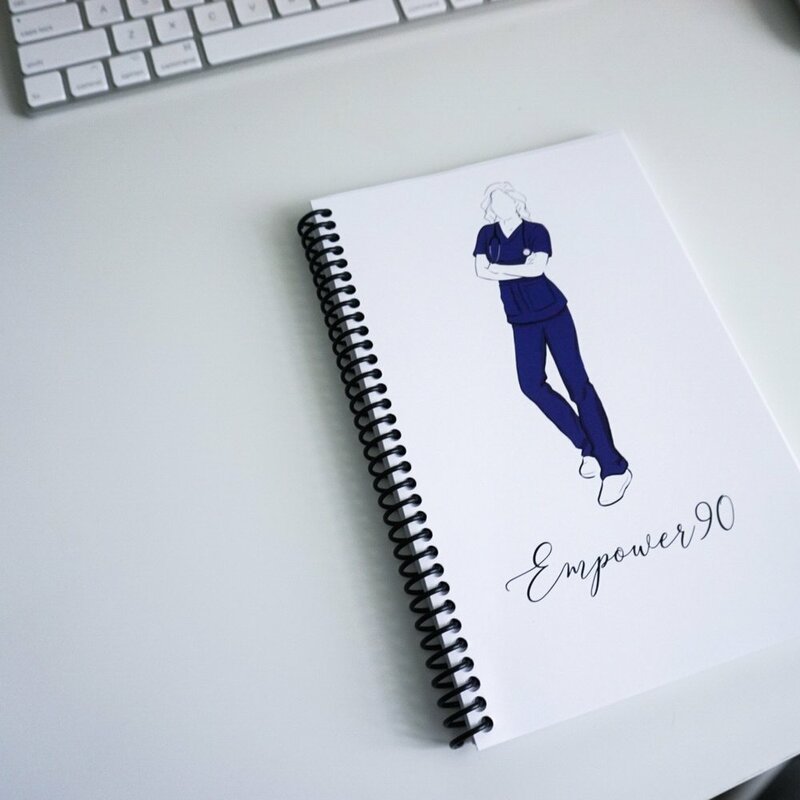 Click THIS LINK to purchase your Empower 90 For Novice Nurses!